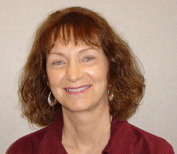 Brenda Hieronymus is an early childhood education specialist and adjunct instructor at the Arlitt Child and Family Research and Education Center at the University of Cincinnati, where she teaches young children from diverse cultural and socioeconomic backgrounds, develops and implements state-of-the-art curriculum materials, mentors practicum students, and teaches college courses. Brenda was named the Teacher of the Year in 1999 by the Ohio Association for the Education of Young Children. She is the coauthor with Sally Moomaw of the More Than series. Make learning count with activities and games that reflect early learning standards from the National Council of Teachers of Mathematics. 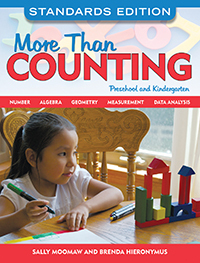 Combining new activities and favorites from bestselling More Than Counting and Much More Than Counting by the same author team, this edition provides 124 math lessons for young children. Activities are organized by learning standard—number sense and operations, algebra, geometry, measurement and data analysis, and probability. 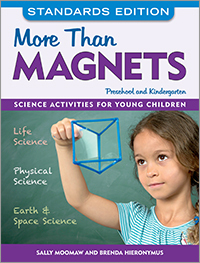 A materials list, modifications for special needs, and a connection to early learning standards are provided for each activity.